The Student Governance Organization (SGO) consists of SBMI students in both the master's and doctoral programs. Any student enrolled in a degree program at SBMI is eligible to become an elected representative of his or her program. 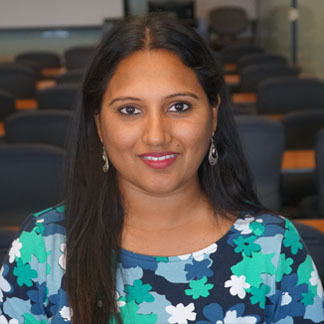 Ankita is a master's student at SBMI with a background in dentistry from India, and epidemiology. Having worked with electronic health records, she wanted to learn about integrating the clinical data in EHRs, with social determinants of health to aid in providing quality healthcare. "I believe that a great student experience doesn't just come from the courses you take, but the people you meet; these are relationships that will last you for your lifetime. The SGO hopes to encourage student interaction, while capitalizing on the tremendous health IT and entrepreneurial opportunities in Houston, so get in touch with us!" You can reach Ankita at: Ankita.Misra@uth.tmc.edu, if you have any questions. Chris Schillaci is currently a dual Master’s student here at SBMI and at the School of Public Health. He is interested in using informatics tools in a global health arena. He is a former Peace Corps volunteer and wants to incorporate data driven projects in a public health setting. His goal as an SGO member is to “make the SBMI community engage with each other not just on campus setting, but in social settings since current classmates may well be future colleagues.” You can reach Christopher at: Christopher.A.Schillaci@uth.tmc.edu, if you have any questions. 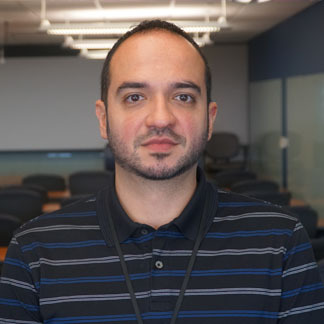 Abraham Mendoza is a master's student at SBMI and prior to joining the school, he worked in the healthcare sector under a biomedical contractor. His background is in Psychological Sciences and studied historical, economic, and cultural factors that remain crucial to the practice of effective medicine today. "Building a community that furthers the goals of each individual and assists in the endeavors of our institution. Please reach out to me at: Abraham.Mendoza@uth.tmc.edu, if you have any questions or would like to discuss anything. 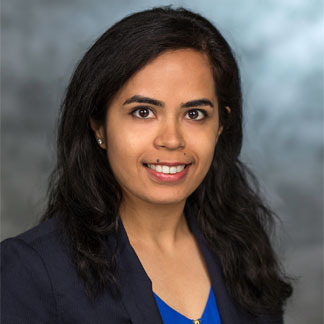 Sridatri Chakraborty is an international Master’s student at SBMI and currently serves as the treasurer of SGO. Sridatri joined SBMI after having worked on exciting multinational projects on data warehouse designing and data visualization in India and is striving to find innovative solutions for existing healthcare problems. She is passionate about helping the new and existing students alike; especially international students at SBMI integrate more seamlessly into the diverse cultural, academic and professional environment of the school and have an awesome learning experience. You can reach Sridatri at: Sridatri.Chakraborty@uth.tmc.edu, if you have any questions. Shruthi is a Masters student at SBMI. Having previously worked as a Software Engineer and with her passion for healthcare, she aims to bridge the gap between technology and healthcare. Her research interests include extracting data from social media for quantitative analysis. "My goals are to get the students' voices heard. I would like to see activities for students to participate in. I would also like to have the student government more well known and help to do as much for the students as we possibly can." 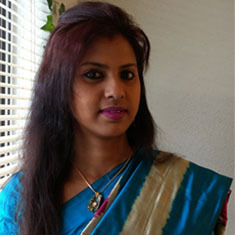 You can reach Shruthi at: Shruthi.Manas@uth.tmc.edu, if you have any questions. Danilo Pena is SBMI's Student InterCouncil Representatives for 2018-2019. 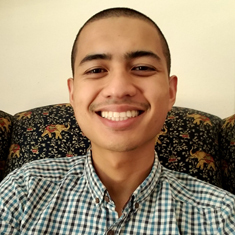 He is currently a Master's student who is interested in using different types of patient data to improve patient outcomes. 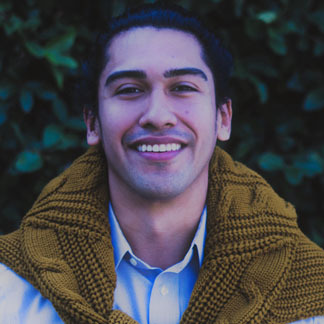 Danilo is passionate about innovation and entrepreneurship in the healthcare space. You can reach Danilo at: Danilo.A.Pena@uth.tmc.edu, if you have any questions about the program or resources available to students.